Jane has over twenty-five years experience as a psychotherapist, and as a clinical psychologist, she has a deep understanding of how to facilitate wellness. In her role on the ANZPOP faculty Jane works as a psychotherapist, and psychotherapy, counselling and facilitation supervisor and is a member of many student Study Committees. She is also a member of the International Association of Process Oriented Psychology and has facilitated conflicts in large group scenarios at Process Oriented Psychology Worldwork Conferences. Through the influence of Dr Julie Diamond’s work and Drs Arnold and Amy Mindell’s Worldwork training, since 2006 Jane has worked extensively as a facilitator passionately applying Process Oriented Worldwork facilitation principles across a range of industry sectors. In more recent years she has further extended this work into senior executive coaching and leadership development. In addition to Jane’s psychotherapy work, she is a senior executive coach and training and development facilitator for the Australian Federal Public Service, the NSW State Public Service, the non-government sector and the corporate sector. Jane finds this focus exciting because of its potential potency for progressive social impact. 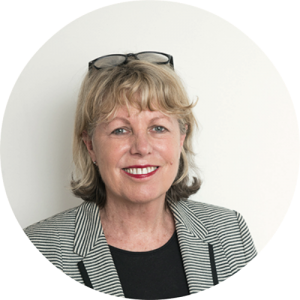 Jane is an Associate of Collaboration for Impact and a Director of Adaptive Leadership Australia and enjoys the privilege of supporting hundreds of leadership practitioners involved in creating better Australian leadership. What I love most about my work is providing my clients with a transformational opportunity to grow, learn and develop. I am committed to creating a safe environment in which to build relationship and facilitate transformation. In my role as Director of Training I am privileged to be part of ANZPOP’s purpose in providing the most progressive psychotherapy, counselling and facilitation courses in both Australia and New Zealand. I have been a major contributor to ensuring that our Diploma and Professional Training Courses offer the highest standards in psychotherapy, counselling and facilitation training. This aligns with my passion for education and my personal purpose of building our capacity as human beings to better understand our selves, our brothers and sisters and our part in the world. Another area of leadership development about which Jane is particularly passionate is facilitating collaboration between Indigenous and non-Indigenous leaders. She has delivered facilitation training for the Aurora Indigenous Training Initiatives, the Melbourne Indigenous Leadership Group sponsored by the Atlantic Fellows For Social Equity Program, and the Lost Conversations Group. Jane also facilitated and co-authored the book Lost Conversations: Finding New Ways for Black and White Australians to Lead Together.